As we see multiculturalism imploding in on itself a British Patriot has been arrested for thought crimes by the British Stasi. As we are very busy with other matters we used this article by Andrew Anglin. Article by Andrew Anglin of the Daily Stormer website. In Orwellian Britain, yet another man who thinks differently from the establishment has been charged with a hate crime. 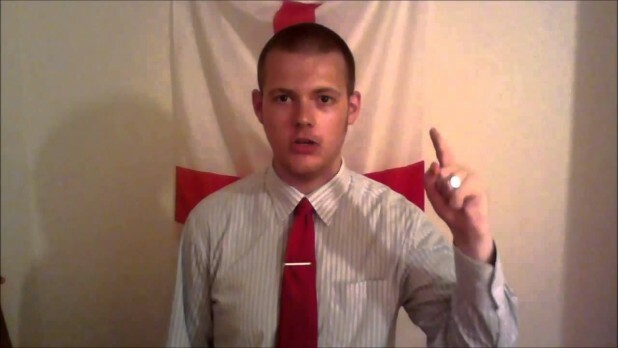 Joshua Bonehill had been legally organizing a legally allowed protest against the parasite Jews when the cops swooped him up. Officers from the Metropolitan Police Service Public Order branch continue to work with Barnet borough officers and their partners ahead of a proposed demonstration in the Golders Green area on 4 July. As part of that work, officers from Avon and Somerset Constabulary together with Met officers arrested Joshua Bonehill, 22 (7.12.92) of Hudson Road, Yeovil in Somerset on Thursday, 25 June. He was taken to a central London police station where he was charged on Saturday, 27 June, with inciting racial hatred contrary to the Public Order Act 1986. He will appear in custody at Westminster Magistrates’ Court on Monday, 29 June. Officers continue to assess all information and intelligence available in relation to the proposed demonstration and speak with the organisers to ensure an appropriate policing response is in place. We are aware of concerns in the local community about the negative impact this proposed demonstration may have on them. We are working with residents to ensure that people can exercise their rights in a way that is lawful, while minimising this impact. I was very surprised to hear that the government would not be ordering the demonstration banned, so this makes sense: allow the demonstration but arrest its organizer for organizing it. 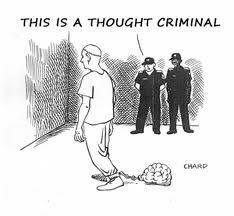 This new wave of thoughtcrime arrests which has been intensifying across Europe over the last two years demonstrates very clearly how on edge these Jews are about a mass awakening of the people. Arresting someone for their beliefs is the last act of a desperate government. The question is, will they be able to fully destroy our countries with immigrants before enough people become aware and stand up that they can’t arrest all of us? Find more information on the Golders Green demonstration on Joshua Bonehill’s official website.